I have been making videos for a while now to accompany most the guides I write, and from the number of views and likes I am getting I see there is quite some appreciation, and that is of course great. I am however currently faced with a small problem, YouTube has announced some changes in their partner program which mean that as it stand I am no longer elligible to stay a YouTube partner. There are two requirements, a minimum viewed hours in the last 12 month (I have almost three times more than the minimum amount), but there is also a minimum number of subscribers for which I am quite far off (a minimum of 1000, and I am currently at 500). I have so far not chased subscribers at all, and I am sure eventually I will get to 1000, but I would like to get there sooner rather than later, so I would like to ask everyone that appreciates the content that I am providing to login to youtube and subscribe to my channel so that I can keep making videos. Thanks a lot! We have added the info for the Skill Projects from level 201 until level 225. The Commander Skill Tree Planner has been extended accordingly. We don't know the exact amount of the boosts yet, just the type. Additional information is appreciated in case anyone already has it. We have added the new Commander XP Levels (lvl 201-225) to the website, but do not have any information on them yet. In case you have information (Xp, commandetion requirements, power increase, skill points), please let us know in the comment section. We have extended the Nerf calculator to also include tier 10-14 troops. Tier 10-14 Troops have been introduced in the game and added to the website. If you happen to know the resource requirement and training time, please let us know, so we can extend the troop training calculator. 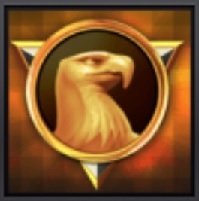 We have added the info for the Skill Projects from level 152 until level 200. The Commander Skill Tree Planner has been extended accordingly. We don't know the exact amount of the boosts yet, just the type. Additional information is appreciated in case anyone already has it. 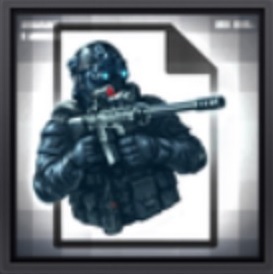 We have added the info for the Skill Projects from level 130 until level 151. The Commander Skill Tree Planner has been extended accordingly. We don't know the exact amount of the boosts yet, just the type. Additional information is appreciated in case anyone already has it. We have added the new Commander XP Levels (lvl 151-200) to the website, but do not have any information on them yet. In case you have information (Xp, commandetion requirements, power increase, skill points), please let us know in the comment section. 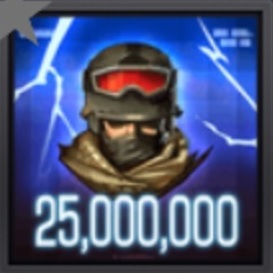 Mobile Strike was recently extended with 25 new Commander XP Levels (lvl 125-150). So far we have only info for the Skill Projects until level 130. The Commander Skill Tree Planner has been extended accordingly. We don't know the exact amount of the boosts yet, just the type. Additional information is appreciated in case anyone already has it. We have added the new Commander XP Levels (lvl 126-150) to the website, but do have only little information. In case you have more information, please let us know in the comment section. We have extended the Nerf calculator to also include tier 9 troops. Tier 9 Troops have been introduced in the game and added to the website. If you happen to know the resource requirement and training time, please let us know, so we can extend the troop training calculator. Mobile Strike was recently extended with 5 new Commander XP Levels (lvl 121-125) and 15 new Skill Projects. The Commander Skill Tree Planner has been extended accordingly. We don't know the exact amount of the boosts yet, just the type. Additional information is appreciated in case anyone already has it. For now we have used the same quantities as the previous skill projects of the same type. We have added the new Commander XP Levels (lvl 121-125) to the website, but do not have any information yet on required commendations, XP and the power. In case you have more information, please let us know in the comment section. We have extended the Nerf calculator to also include tier 8 troops.